Why Is It Important to Have Strong Obliques? 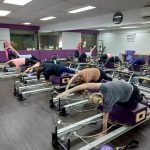 How to Use Pilates to lower Cholesterol Levels? What To Wear For Your Pilates Reformer Workout? TIPS TO WIN THE 28 DAYS PILATES CHALLENGE 2015!